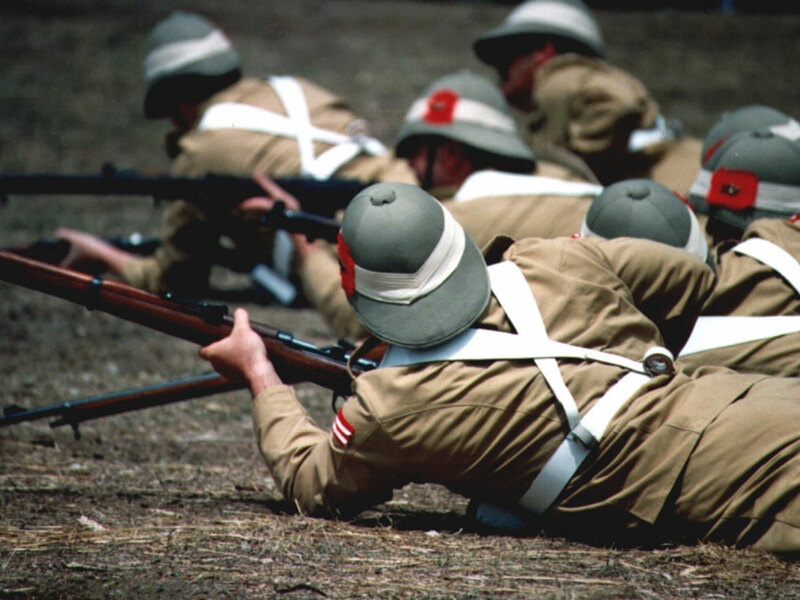 The Dundee Diehards re-enactment team is a volunteer, non-profit organisation that was formed in 1999, originally to re-enact the Battle of Talana at the time of the centenary. 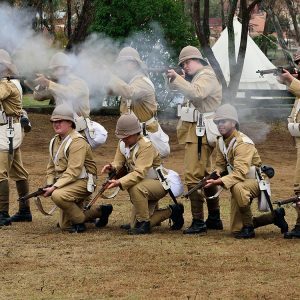 The group has since grown and become well known nationally and even internationally, performing battle re-enactments, displays, parades and guards of honour throughout South Africa and taking part in several movies, television series and documentaries. 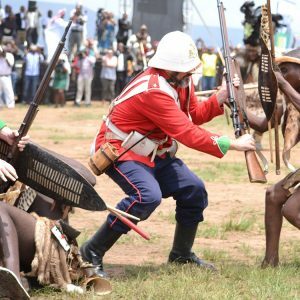 They have been commissioned by the BBC, SABC, National Geographic and M-Net. 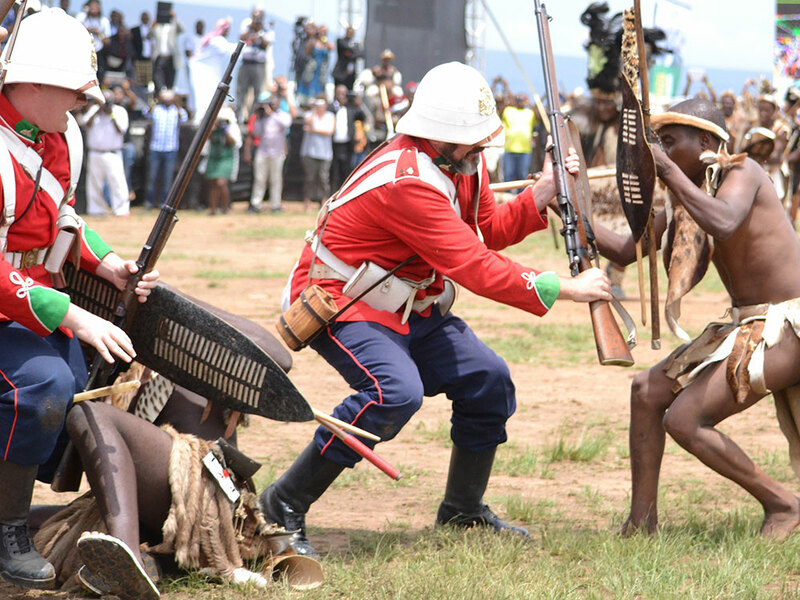 The Diehards have also performed in front of the Duke of Kent and other foreign ambassadors and dignitaries. 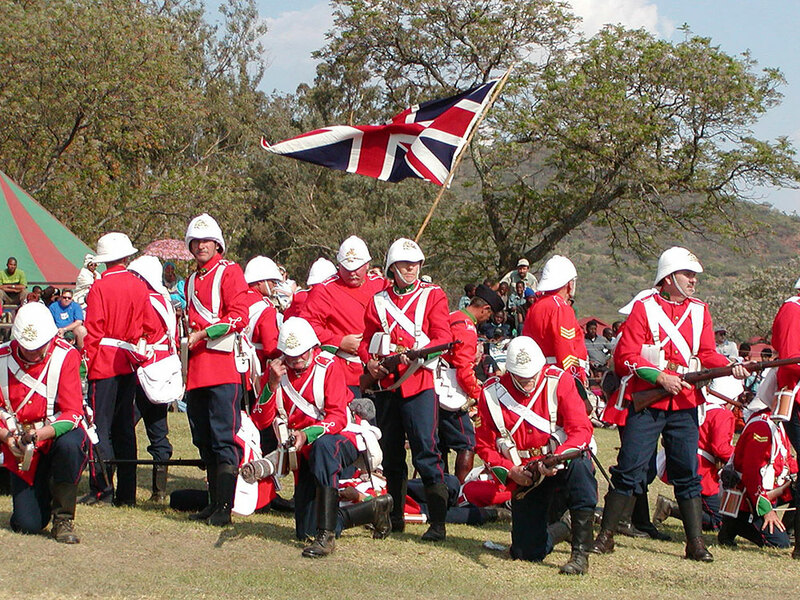 Famous battles of the Anglo Zulu and Anglo Boer Wars have become the team’s speciality. 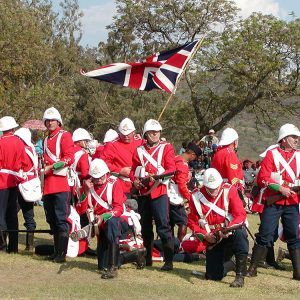 Annual performances may be seen at the re-enactments of Isandlwana in January, Majuba in February and Talana in October. 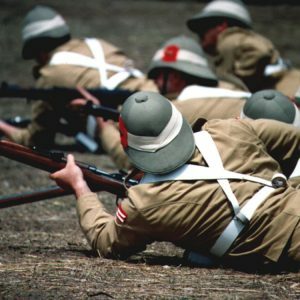 The group relies heavily on donations and sponsorships, either financial or material for the success of their events and historically correct equipment is continually being sought. 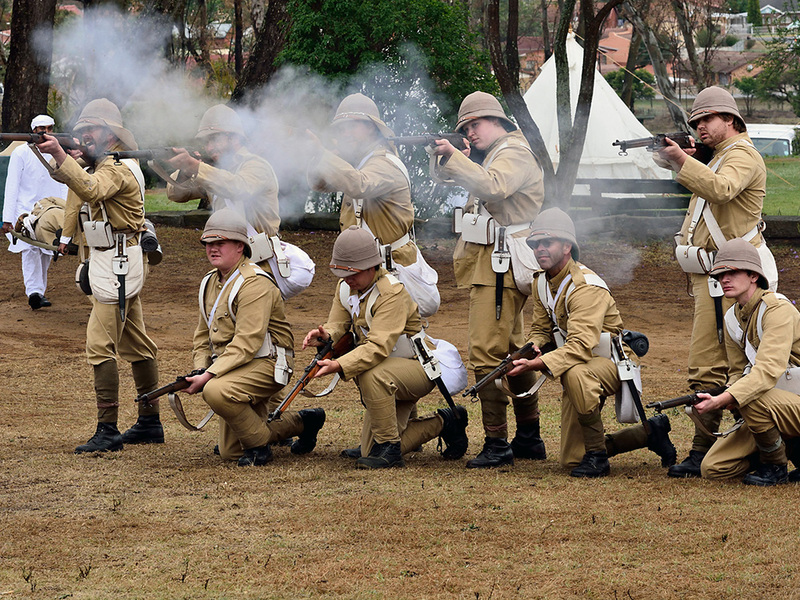 The group is available for hire for specific battle re-enactments throughout South Africa.